Road trips have always included camping. Setting the tone for fun and adventure with the right music makes every trip start off on a high note. It takes away the packing grouchiness, driving stress, and new place nerves. I have an evolving and partly kid-dictated road trip playlist that currently gets our fun jump started with Roam-B52s, Bad Reputation-Joan Jett, Come On Get In-KT Tunstall, and All Fired Up-Pat Benatar. “We have two sources of music on our camper. First is Pandora, the streaming internet music channel. We can play Pandora through our iPhone, iPad, and upgraded JVC stereo, and Samsung Bluray player. The JVC stereo and Apple devices play utilizing Bluetooth technology and the camper’s speakers. For music outside, we have a Bluetooth Jawbone Jambox speaker used with the iPhone. The second source of music is through a flash drive/zip drive through the television. With over 5,000 songs on our laptop, we have downloaded many favorites. The flash drive may also be played with the stereo in the truck as well as Pandora. Regardless of where we may be, we always have some type of music. “My camper truck is the same truck I have had since high school and college. Now it is just the weekend toy. I sold and installed car audio though college. 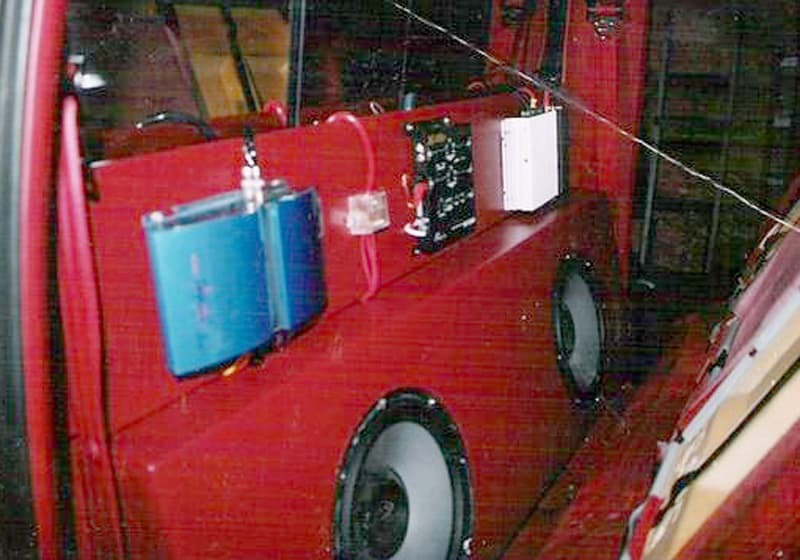 The truck still has the upgraded system of a little over 2,000 watts, a few amps, and five speakers in the single cab of the truck. I have completely Dynomatted the cab to help keep the road noise out and the speakers noise in. I upgraded to a blue top Optima battery and I have a farad capacitor to help keep the electrical system running strong. The camper that I’ve had since November hasn’t been upgraded yet as far as the sound system goes. However, I’m sure I will get around to it. I have an entire parts bin full of stereo equipment sitting in the garage to install. 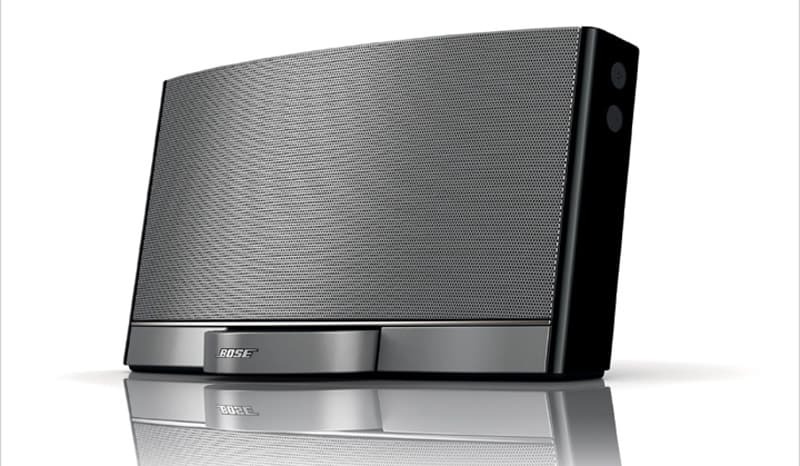 Currently, I just bring along my Bose portable sound dock. It came with two batteries and each one lasts for about ten hours. It also can be charged with 12-volt, so that is a nice plus. 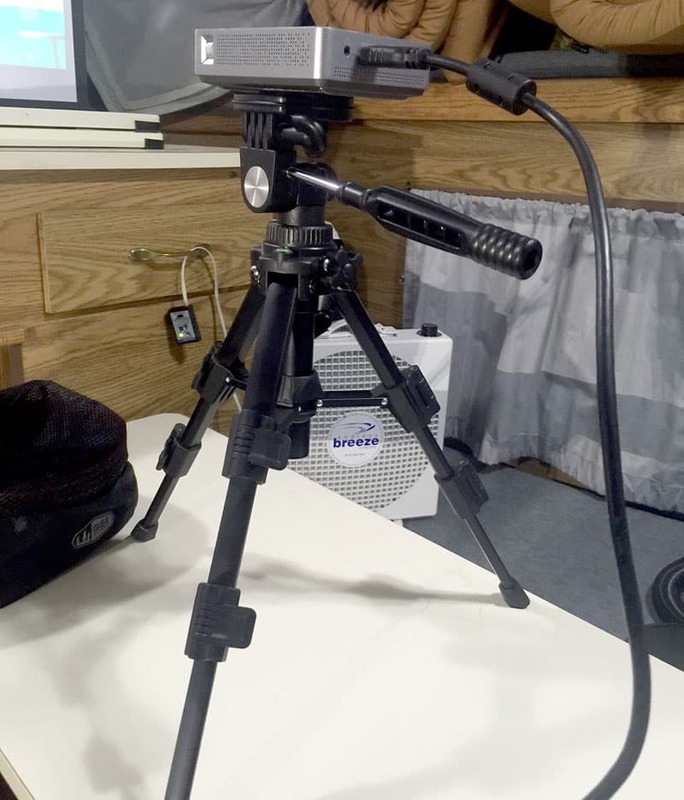 I also have a micro HD projector and a 40-inch portable movie screen that we use on trips. I just play the sound though the Bose sound dock as well. The projector has its own battery that is good for three hours, or I just plug it in. It runs off of an LED light engine so it uses very little power. “My camper has its own music playlist. Sadly, these are played from a CD. I wish my truck stereo had a USB input like the one in my 2012 Honda Fit. Most of these tunes were found by searching iTunes for terms such as Chevrolet, four wheel drive, 4×4, back road, etc. There are more, but these are my favorites.